The Razer Kraken Pro isn’t new, per se, but this iteration of it certainly is. 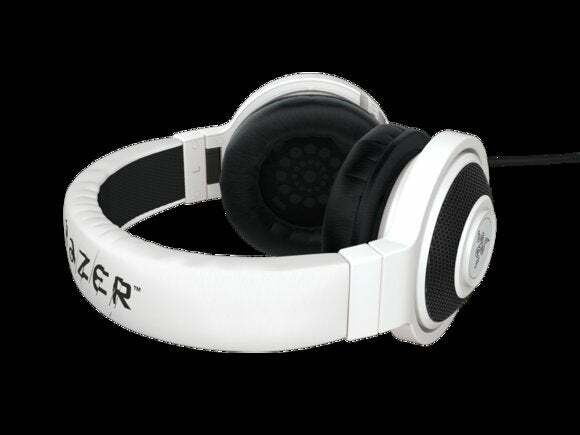 Like the special version of the Razer Taipan released earlier this year, the Razer Kraken Pro now comes in a glossy white. Sure, Razer’s strict neon green/black color scheme has its proponents, but I personally enjoy seeing the company branch out a bit. Anyway, the build quality of the white Kraken Pro is solid. I didn’t really like Razer’s choice of glossy white plastic on the Taipan Pro—it was a bit hard and uncomfortable when my hand was accustomed to soft-touch rubber coatings and the like. On your head though? It’s perfect, giving the Kraken Pro a high-end, professional look. That is, it would look professional if it weren’t for the ghastly “fake cut” Razer logo on the top of the headband. Everything else about this headset, even Razer’s snake logo emblazoned on each earpiece, looks sleek and professional. Then there’s just this cheesy typographical nightmare on top. Ah well, you can’t win them all. 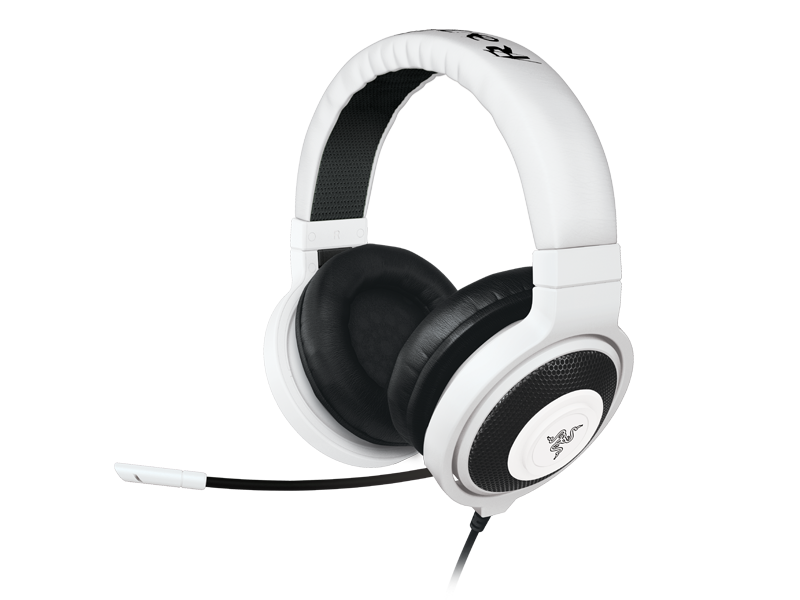 The earcups on the Kraken Pro are a bit smaller than your average headset, with a circular shape rather than elliptical. While my ears still fit inside, it wasn’t nearly as roomy as I’d like. However, the actual tension of the headband is perfectly tuned, meaning if you’ve got small ears you could use this headset for a while, no problem. The Kraken Pro’s sound is decent, warm, with a slight boost to the bass. 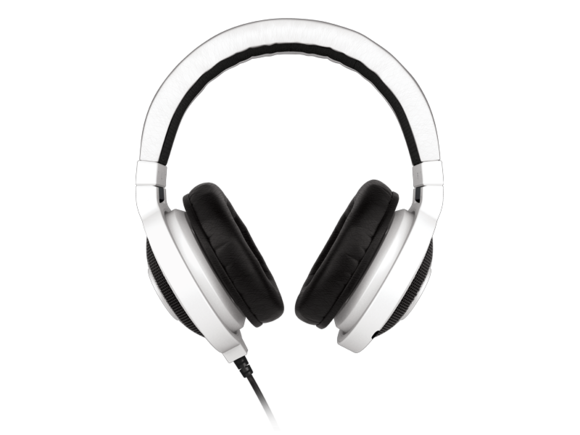 Out of all the budget headsets reviewed here today, this is probably one of the strongest when it comes to listening to music (up there with the HyperX Cloud). 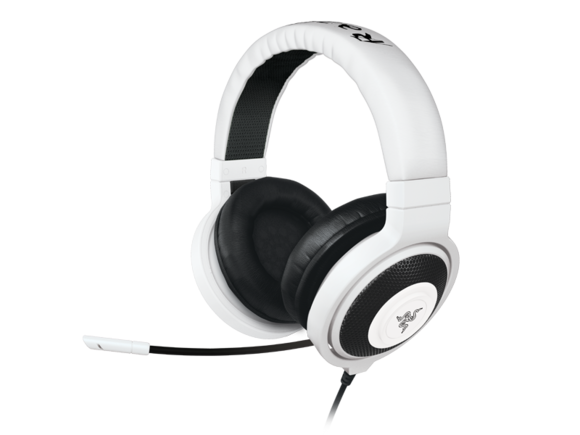 You’d better like the sound of the Kraken Pro, as unlike its older sibling the Kraken 7.1 you have no Razer software solution for EQ. I did notice a slight muffled quality to the sound, but it wasn't enough to detract from your experience playing games. 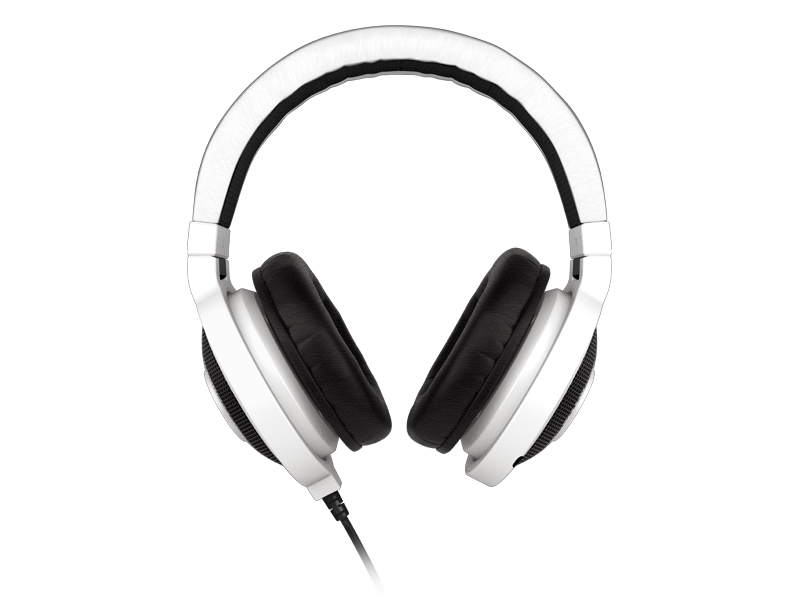 It’s primarily noticeable with gunshots—they’re not as sharp and crisp as you can achieve with other headsets. Dialogue also suffers a little. It’s workable. It gets the job done. That’s the best way to describe the Kraken Pro. It’s not really aiming for anything special, and it doesn’t achieve anything special. It’s just an average pair of headphones. I’d also like to point out that I had easily the least amount of noise leakage with this headset, so it’s perfect for quiet environments. You do get one luxury feature, in the form of a retractable microphone. Retractable microphones are great, considering they’re almost invisible when you don’t need them but don’t get lost or need the additional 3.5mm jack like a detachable mic. The microphone is decent quality, fully positionable. There’s no way to noise-gate, however, so it’s prone to breathing/swallowing noises depending on how you arrange it. The main issue, and what really sinks the Kraken Pro for me, is that there are no on-the-fly controls—no in-line controls attached to the (lengthy) wire, and no controls built into the headset as far as I can tell. That means you have no way to adjust the volume of the headset and, more importantly, you have no way (that I can tell) to mute the microphone outside of potentially retracting it entirely, a process that takes more than a bit of effort. When’s the last time you bought a headset without some form of on-the-fly controls? I don’t even know, in my case. At this price point, that’s unacceptable. Even the $60 SteelSeries RAW Prism, with all its issues, built in a mute button. I’m happy to see Razer making products in color schemes I’d actually want to use, but the Kraken Pro’s in desperate need of an overhaul if it wants to stay competitive at this price. With circular earcups, 40mm drivers (as opposed to the now-standard 50mm), and a lack of in-line controls, the Kraken Pro is showing its age. It’s not the worst headset out there by a long shot, but there are better options for the money. The Razer Kraken Pro is a decent headset, but it's starting to show its age.